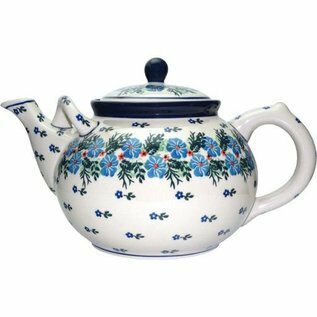 The same design as the 4 & 6-cup teapots, only larger. There is a secondary â€œHelper Handleâ€ located near the spout to help distribute the weight of this teapot and makes carrying and pouring much easier. An air-relief hole can be found underneath the large handle, allowing the handle too cool quickly.